While I was in Chicago for the International Quilt Festival two weeks ago, I got a little surprise. 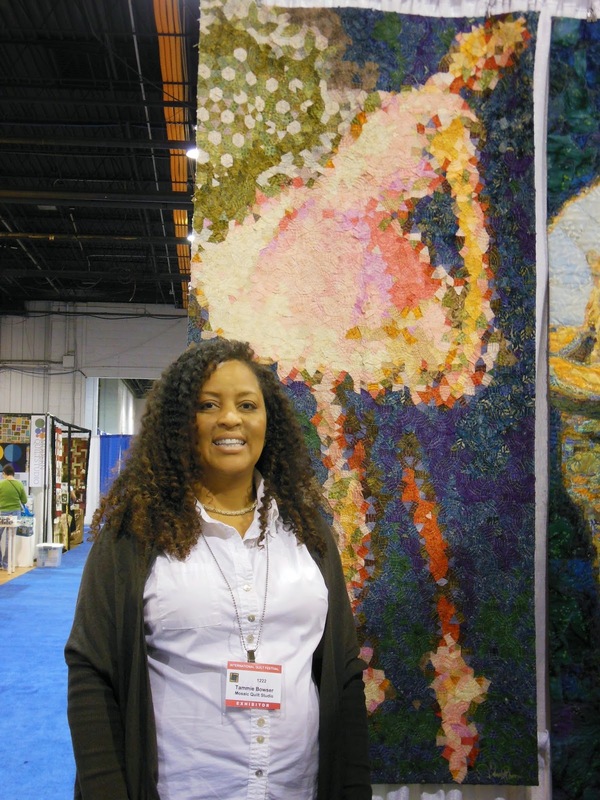 There, hanging in a vendor stall, was the first art quilt that ever captured my imagination… the very one that sparked a fire in me by allowing me to see quilts differently than I ever had before. Back then the quilt hung in a special show, where photographs were prohibited, so I stood – for a long time – and literally tried to drink it in with my eyes. 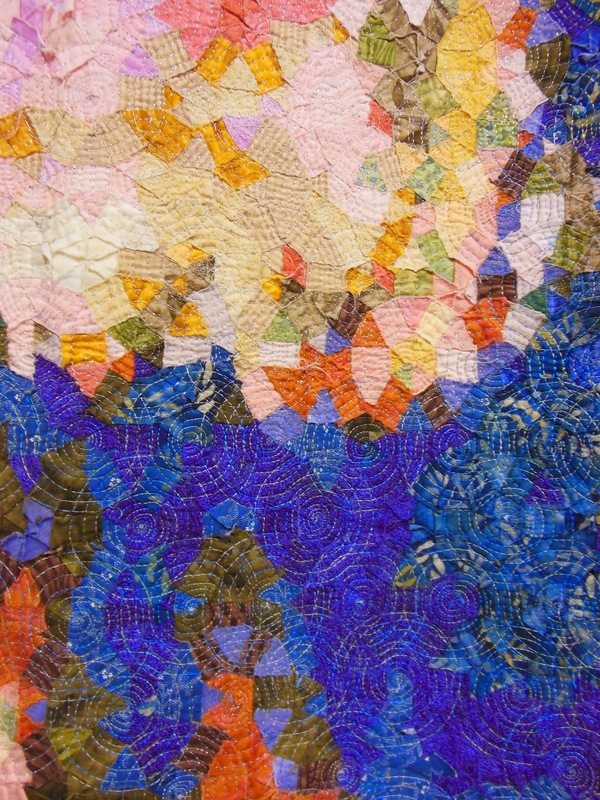 I reveled in the imperfect (re: freeing) impressionistic style, the colorful bits of fabric artfully placed in a design of overlapping wheels, and especially the quilting, circles over circles sewn in gold thread. It is not an exaggeration to say I have thought of that quilt many times since then. So there in the vendor stall I stood again… waiting for my opportunity to tell the artist how her quilt had inspired me. We talked for 20 heart to heart minutes, I took a picture 🙂 – and we hugged like old friends when I left.